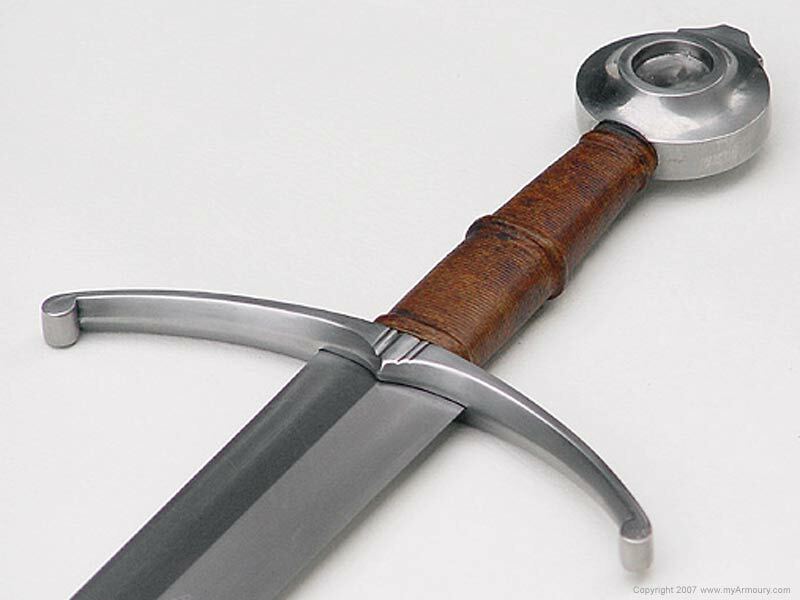 The Albion Kingmaker is an Oakeshott Type XVIII sword, which "is the very quintessence of the true, age-old cut and thrust fighting sword; its form and function goes back to the Middle Bronze Age of circa 1000 BC" (Records of the Medieval Sword, Ewart Oakeshott, 1991, p. 171). 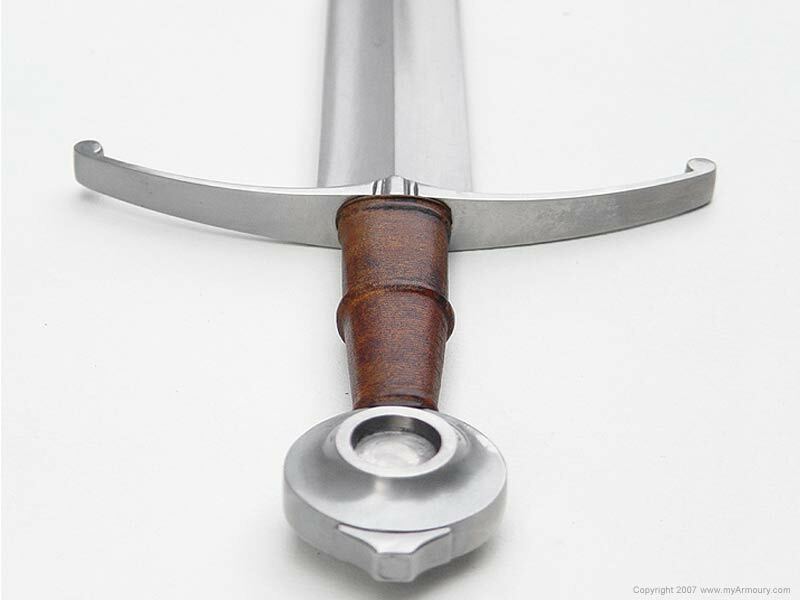 With the flattened diamond form along with a longitudinal mid-rib, it is capable of both strong cuts while being stiff enough for the well-placed thrust. 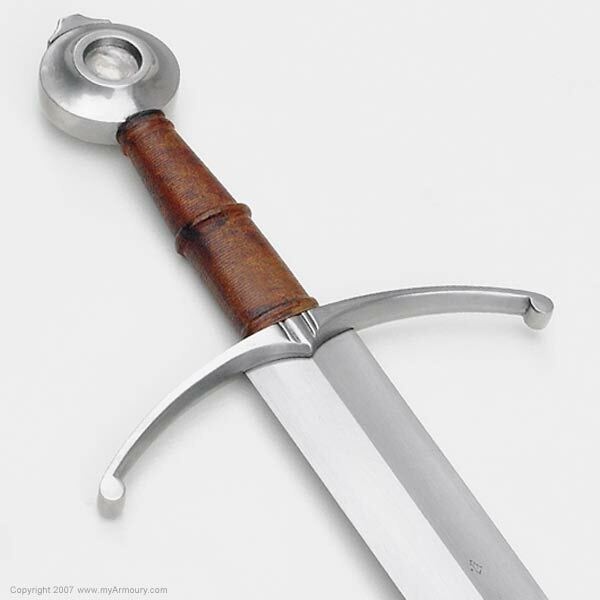 The Type XVIII, along with the Type XV, Type XVI, and Type XVII, came into vogue as the weapon vs. defense race moved into the plate armour era, and these trusting types became useful. 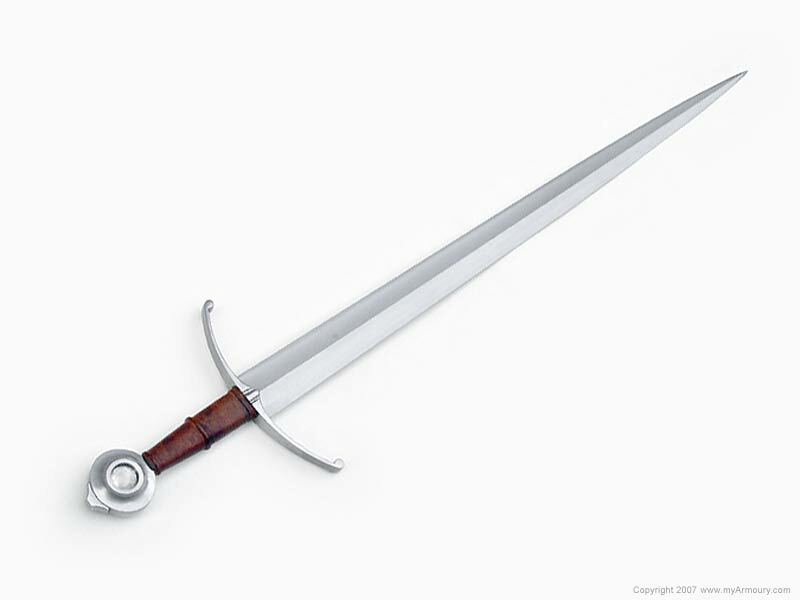 Even though the sword began taking a backseat to the axe, mace and hammer, the sword remained as the symbol of honor and prestige. 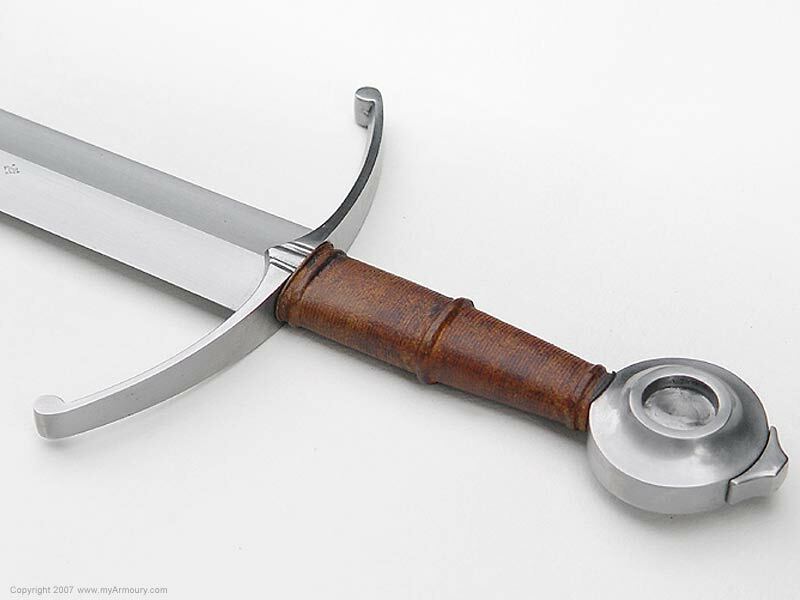 The Kingmaker has a hollow-ground blade that tapers strongly and ends in an awl-like point. 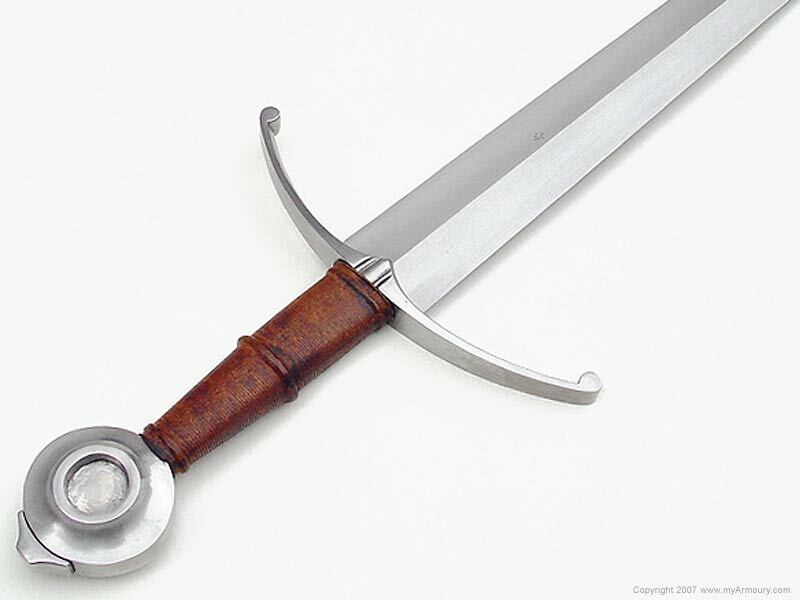 The pommel is Type K, which is a wheel pommel with a deeply recessed central depression. 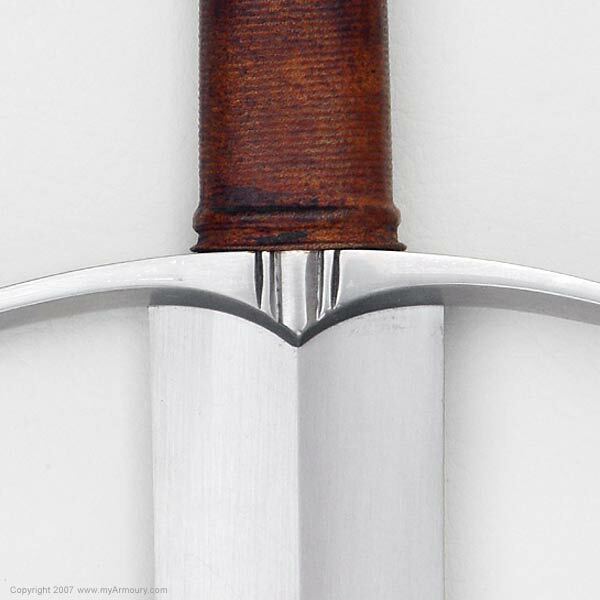 The cross is the attractive Style 9, which "is of flat ribbon-like section with its width at right angles to the plane of the blade�in most cases this ribbon-section is elegantly complex, for, though it is flat on the top, the underside is triangular" (Oakeshott, 1991, p. 13). 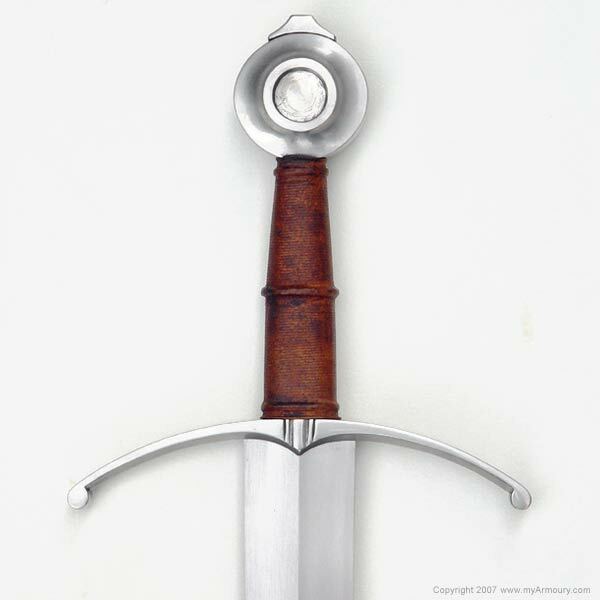 The grip is of light brown "campaign-worn" leather with a central riser. 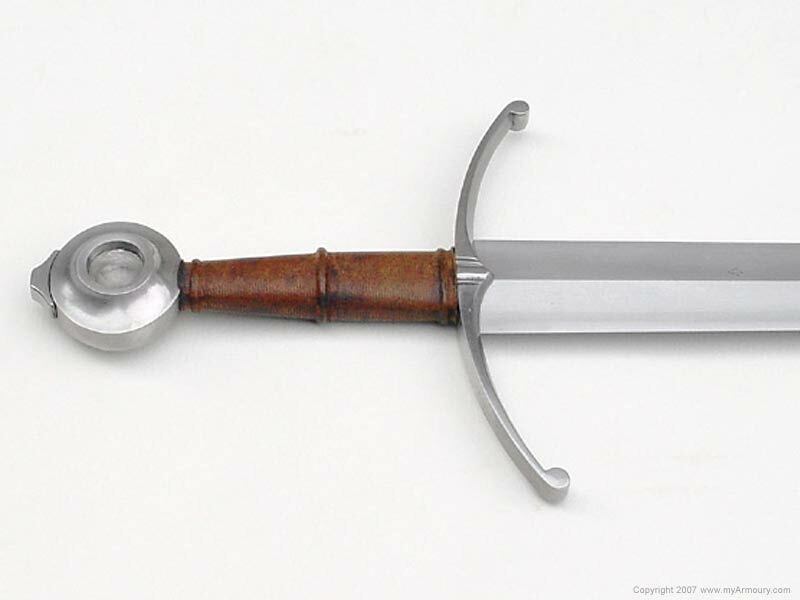 Blade: 32.25" long; 1.87" wide tapering to .5"
Maker: Albion Armorers of Wisconsin.